Below you can view all the homes for sale in the Summerhill subdivision located in Atlanta Georgia. Listings in Summerhill are updated daily from data we receive from the Atlanta multiple listing service. To learn more about any of these homes or to receive custom notifications when a new property is listed for sale in Summerhill, give us a call at 404-998-4063. Amazing Location - Short Walk To New Summhill Development W/Brewery And Restaurants + The Beacon & Southside Beltline Tr, Grant Park And Zoo. MLS#6537448. Compass. 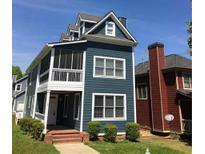 3 Bedroom/ 2.5 Bath Traditional . Sold As-Is. No Disclosures. MLS#6534019. Berkshire Hathaway Homeservices Georgia Properties. 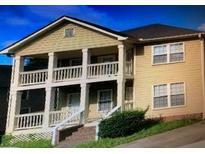 Located Minutes To Grant Park/Zoo Atlanta, The Se Beltline Corridor, And Highway Access. MLS#6533133. Berkshire Hathaway Homeservices Georgia Properties. All The Advantages Of City Living. MLS#6530289. Key Time Realty, Inc.. Phenomenal Location With Easy Access To Grant Park, Zoo Atlanta, Ga Avenue Redevelopment, Upcoming New Park Just Across The Street, And The Beltline! MLS#6128956. Knock Homes, Llc.. Custom Kitchen Overlooking The Family Room, Separate Dining Room With Hardwood Flooring. MLS#6516343. Strong Tower Realty, Inc..
Open Floorplan With Stunning Finishes, Gorgeous Airy White Kitchen, Stainless Appliances, Quartz Waterfall Countertops, Spa-Like Baths /W Seamless Glass Showers , Roof Top Deck Perfect For Entertaining Guests So Much Happening In This Area, Get In Now While You Can! MLS#6523244. Berkshire Hathaway Homeservices Georgia Properties. Also Available For Lease And Lease Purchase. MLS#6519549. Berkshire Hathaway Homeservices Georgia Properties. Stunning Master Retreat Boasts Private Terrace, His/Her Closets And So Much More. MLS#6510137. Coldwell Banker Residential Brokerage. Stunning Master Retreat Boasts Private Terrace, His/Her Closets And So Much More. MLS#6510216. Coldwell Banker Residential Brokerage. You Could Be Building In Weeks Not Months. MLS#6506936. Exp Realty, Llc..
Homes Nearby In The $400-500K Range, So Get In Early! MLS#6505497. Simple Showing, Inc.. This Home Is Five Minutes To Downtown Atlanta And 10 Minutes To Hartsfield Jackson International Airport. MLS#6127949. Bo Bridgeport Brokers, Inc..
New Washer/Dryer With Full Price Offer! MLS#6118464. Atlanta Fine Homes Sothebys International. Enjoy The Closest Proximity To Shopping, Restaurants, Zoo Atlanta, And Grant Park. MLS#6115993. Atlanta Communities. Enjoy The Closest Proximity To Shopping, Restaurants, Zoo Atlanta, And Grant Park. 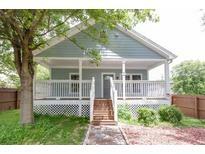 MLS#6115996. Atlanta Communities. Enjoy The Closest Proximity To Shopping, Restaurants, Zoo Atlanta, And Grant Park. MLS#6115577. Atlanta Communities.